I really love how beautifully this piece accented my master bedroom. The colors are a little more muted than it shows online, which actually worked in my favor since my room has more coral than pink. The only negative that I have to say is that the canvas material is really thin and the print looks a little fuzzy, but I guess it's supposed to look like a watercolor instead of an actual painting. From far away it doesn't matter, though. It's still beautiful! Great quality for the price. Look much more expensive than they are. Bought the yellow/white abstract/graffiti prints for my son’s room and despite being a boy who cares nothing about decor, even he loves them! Don’t let the price fool you! 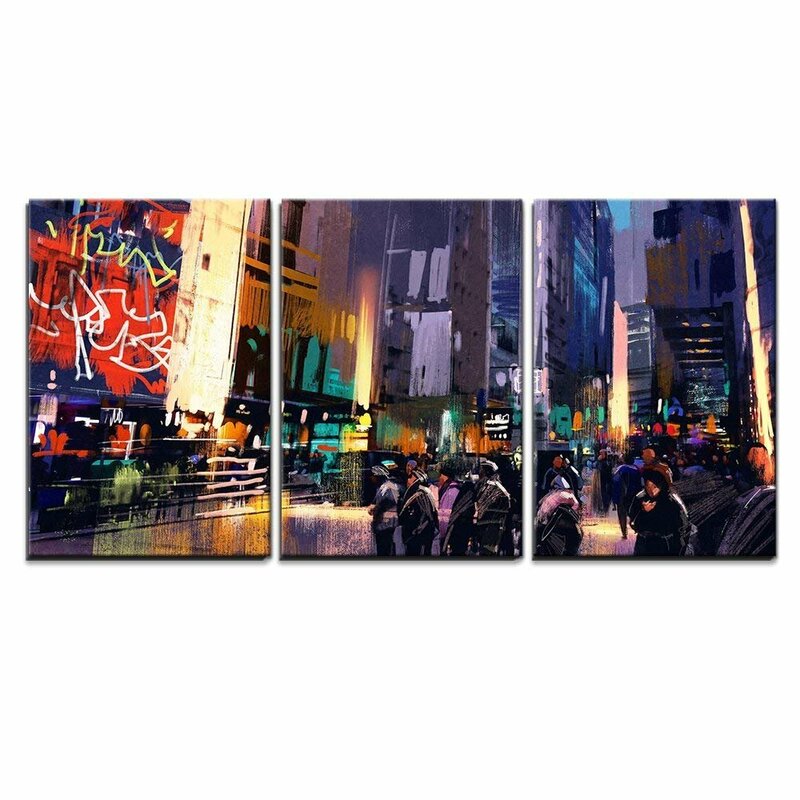 These are quality canvas prints with beautiful colors. Such great value, I ordered two sets.